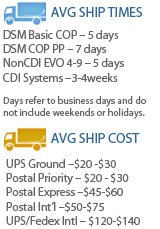 International Express Orders require a telephone contact # to attach to shipment. Handling times may vary by product. Coil on Plug Systems usually ship within 1-4 weeks; other items ship within 2-3 days. Our most current ship handling times are listed at the bottom right (look for the blue shipping truck). Please contact us prior to purchasing with any questions or concerns. Spark Tech warrants its products to be free of defects in materials and workmanship. If you should find any problems we ask that you communicate with us asap to ensure proper handling as many of our products are customized. Within 7 days of receipt of your shipment, you may return your system for a refund on the purchase price. Any custom printed plates may be charged a fee of $50 upon return. If you chose to keep the plate, please contact us to discuss the terms. Within 7 days of receipt of your shipment, you may return your system for a refund. A 33% re-stocking fee will be applied, on the condition that we will be allowed to resell them at deep discounts, to interested buyers. We will not be responsible for shipping costs, except if we make an error with your order, or in the unlikely event that you receive defective products. Any defective products will be replaced or exchanged, after they are returned, with no charge for ground shipping of the replacements. 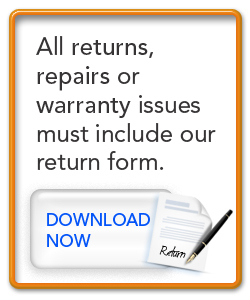 Please note that we can process returns and refunds ONLY for items purchased from Spark Tech. We will exchange items at our discretion. Items that are returned in unsellable condition, will be charged a restocking fee at our discretion. We will not be responsible for consequential or other costs associated with the shipping carrier's non-performance. Same day shipments cannot be guaranteed when orders reach us after our 3.30 pm EST cut off time.